A very happy sunday to all of you!! I used flower and leaves images which are gifted by my dear friend Bhumika and colored them with camlin water colors. I adhered the images on embossed piece of paper and added some black sequins and sticked the entire panel over kraft card stock. as the embossed background has sentiments, i didn't put other sentiment. Very pretty card. 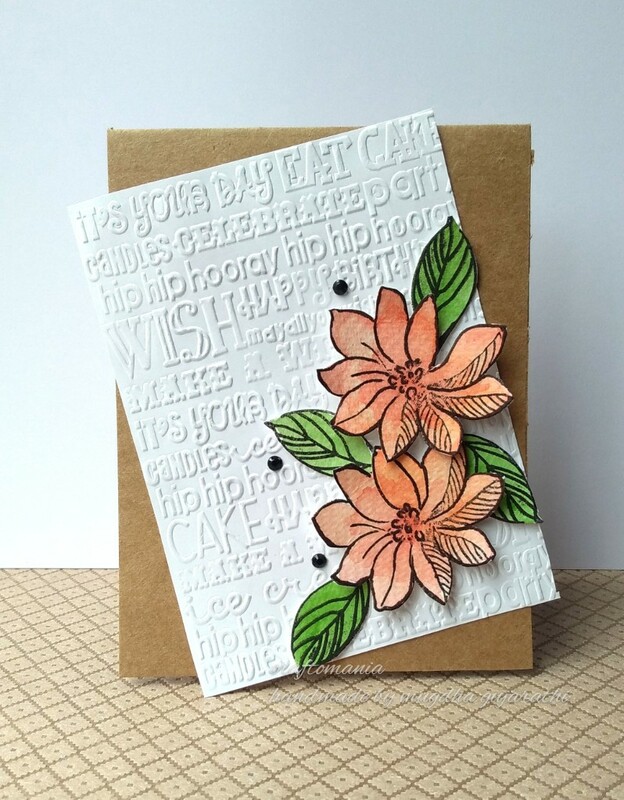 Love the embossed background the pretty flowers. Thanks for sharing with us at Seize the Birthday. Well, if this is your first, I cant wait to see what you continue to create You will love your die cutting machine. but I think you already know that. 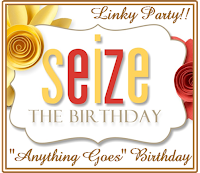 Thanks for joining us at Seize the Birthday challenge this week. Your blooms look beautiful on the embossed background! Happy cutting to you...yay for your new machine! 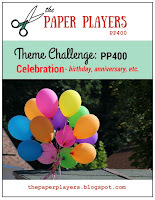 !Thanks for playing along at The Paper Players and joining us in our 400th challenge celebration! Another beautiful creation Mugdha - those bright flowers really pop against that fabulous textured background. Thanks for joining us at The Paper Players for our 400th birthday celebrations!